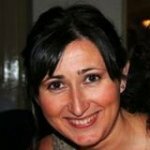 In this guest blog, midwifery lecturer Mercedes Perez Botella considers the latest Cochrane evidence on how to push in second stage. She also reflects on aspects of this part of the birth experience that aren’t captured in these trials, a good reminder that best practice will bring together evidence, clinical judgement and the preferences of the women in your care. Active, or directed, pushing consists of encouraging the woman to push for as long as she can during a contraction. It tends to involve some form of cheerleading (see these two examples: https://www.youtube.com/watch?v=q9EiV2JXwWE https://www.youtube.com/watch?v=9gkFttT8T8M). On the other hand, spontaneous pushing is more concerned with supporting the woman to follow her own instincts to bear down at the rate and with the strength that her body prompts her to do. Do either directed or spontaneous pushing facilitate woman centred care? Do either of them improve the birth experience for all involved? The evidence used in this review arises from studies of mixed quality, which the authors rightly acknowledge, so well designed randomized controlled trials (RCTs) might show us in the future more than we now know. However, beyond this review, and leaving aside for one minute RCTs – we do know they are considered the best type of evidence… or are they always? (Greenhalgh and Buckingham, 2010) – we should now be asking what added benefits, not measured by the review, can spontaneous or directed pushing bring about? Let’s think for a minute about those women who will feel empowered by the fact that they were able to birth without anyone shouting in their ears, “Keep it going!”, “Once more!”, “Don’t waste the contraction!” and the like. These are portrayed constantly by the media and convince women that, actually, being told how and when to push is a normal part of the process and you must wait for those instructions and follow them rigidly. However, feeling disempowered, not listened to and being told what to do are well known triggers of postnatal depression and problems with bonding (Leahy-Warren, McCarthy and Corcoran, 2011). If one measures the birth experience by the rate of neonatal admission to SCBU at birth or perineal damage (both primary outcomes in this review) then we have no reliable evidence that one type of pushing facilitates a better birth experience. However, spontaneous pushing is a kinder method, more aligned with following birth physiology and with the philosophy that encompasses woman centred care and the belief in women’s bodies and their ability to birth. I have always held the strong belief that women (especially those with no epidural analgesia) know where and how to push, especially if they are encouraged to adopt an optimal position (i.e. anything but on the bed!). The feeling tends to be so overwhelming that it is hard to be confused as to where one needs to push. This belief that women know how to push is not held by all birth attendants, who feel they must guide women to push in the right place, with their mouths closed etc… They feel compelled to “do something” to help the situation, many times with the good intention of ridding the woman of this somewhat challenging (one could say?) event. In other instances, pressure from the system to empty beds quicker tends to be used as an argument for employing directed pushing. Bed pressure is a phenomenally common and a stressful situation in many labour wards, but not the right argument to employ directed pushing, especially now given the lack of evidence for the benefit of one type over another in this respect. With regards to some birth attendants feeling they “have to do something”, this leads us to reconsider the arguments of Nicky Leap when she analysed how we sometimes feel compelled to do something while we look after women in labour. “The less we do; the more we give” (Leap, 2010) becomes so powerfully true when we give women the control over their expulsive efforts. This review has shown that we don’t yet have the evidence that there is anything to be gained by directing women to push and the authors conclude that “women should be encouraged to bear down based on their preferences and comfort”. If nothing positive can be gained by interfering with the natural process of labour, then let it be. Ensure your role is to provide authentic support, embedded in a philosophy of care that puts the woman truly at the centre of it and which nurtures the process to develop as nature intended. ‘Remember you are facilitating another person’s process. It is not your process. Do not intrude. Do not control. Do not force your own needs and insights into the foreground. If you do not trust a person’s process, that person will not trust you’ (Heider, 1985). Facilitating woman-centred care in second stage of labour. Cochrane review supports choice by Mercedes Perez Botella is licensed under a Creative Commons Attribution-NoDerivatives 4.0 International License. Based on a work at http://onlinelibrary.wiley.com/doi/10.1002/14651858.CD009124.pub2/abstract. Permissions beyond the scope of this license may be available at http://onlinelibrary.wiley.com/doi/10.1002/14651858.CD009124.pub2/abstract. *Editor’s note: the Cochrane review was updated in March 2017. Conclusions remain unchanged. Lemos A, Amorim MMR, Dornelas de Andrade A, de Souza AI, Cabral Filho JE, Correia JB. Pushing/bearing down methods for the second stage of labour. Cochrane Database of Systematic Reviews 2015, Issue 10. Art. No. : CD009124. DOI: 10.1002/14651858.CD009124.pub2. Greenhalgh T, Buckingham J. Searching the literature. In: Greenhalgh T, editor. How to read a paper: the basics of evidence-based medicine. 4th ed. Chichester: Wiley-Blackwell; 2010. p. 15-30. Heider J. The Tao of Leadership: Lao Tzu’s Tao Te Ching Adapted for a New Age. Atlanta: Humanics New Age; 1985. Leap N. The less we do, the more we give. In: Kirkham M, editor. The Midwife-mother relationship. 2nd ed. London: Palgrave-McMillan; 2010. p. 17-36. Page last updated 12 May 2017. Mercedes is a Midwifery Lecturer and a member of the ReaCH unit (Research in Childbirth and Health - UCLan) since 2012. She has a special interest in enhancing the learning experience of students as well as contributing to the advancement of midwifery care through research. In particular, she is keen to develop further understanding around what constitutes positive experiences during childbirth for both women and carers and she has published some work in this area.